A good recipe for defeat is isolation, making the choice to stay away from people especially the ones that care about you. On the other hand a good recipe for victory is staying in fellowship. 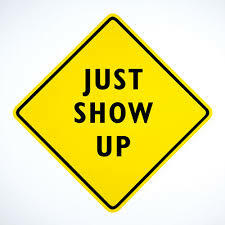 I’m often asked what the key to staying away from my addiction is, without hesitation it’s always “Just Show Up”. If you’re sitting around with your mind racing and feel out of sorts, go to a Bible study or call a couple friends who share your faith and just be around God’s people. The other night we had a Choir Concert here at Keswick, as much as I was tempted to sit home and watch TV, I went. It was The HOMELAND Patriotic Choir Concert, we praised God, made tribute to our Country, recognition of the sacrifices made and honoring those who served. The presents of God was radiant among His people, the music was as soothing as could be and the fellowship was sweet. There is nothing on television that can bring that. I left there encouraged and completely satisfied. This idea of showing up is multi productive, it is used to exhort one another, to know the struggles we each have in order to bear one another’s burdens, to pray with and for each other and to be as an example to a lost generation of the love we have for one another. Now I realize that it’s not always easy being around “Christians”, but it will always produce in us the character and godly traits that will serve to grow us in the grace that was so freely bestowed upon us. “As iron sharpens iron so a man sharpens the countenance of his friend” Proverbs 27:17. There’s something about showing up and establishing a consistency of being present that begins to create a reputation as a guy who’s always available and dependable. Being ready to give and receive, a vessel that is built up in the faith and love that comes from being in and around the fellowship of believers. Adding the daily reading of God’s word to as the topic of conversation and sharing the way His word is speaking to and thru you. Live Courageously: He is ALWAYS There!